This 20 ton / day Wheat Flour Milling Machine consist of grain cleaning system,milling system,packing system.The art flow of this cleaning system make up of beating, sieving and wash stoner. The flour system adopt to grind flour circulating, then extracting the flour at each time. To distill the differ grade wheat flour, as the same time to advance the rate of flour producing. Looking for ideal Wheat Flour Milling Machine with Price Manufacturer & supplier ? We have a wide selection at great prices to help you get creative. All the Flour Mill Machine Price are quality guaranteed. 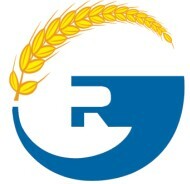 We are China Origin Factory of Wheat Flour Mill Machinery. If you have any question, please feel free to contact us.